We moved to a new city last year, and recently became members of a church in the Presbyterian Church in America. We are delighted to be a part of this local church, with its commitment to the truthfulness and authority of the Scriptures, excellent preaching, worship that is rooted in the Bible and the liturgical traditions of the church; and involvement in the community and the world. I don’t yet think of myself as “Presbyterian;” perhaps that will come with time. 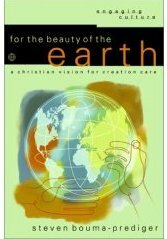 As is true in many theologically conservative denominations, the issue of the age of the Earth has been controversial within the PCA. Some place it up there with the doctrines of the trinity and justification by grace through faith as something that must be believed. Others, including many professors at the denomination’s Covenant Theological Seminary, rightly see the Scriptures as ambiguous on the topic. 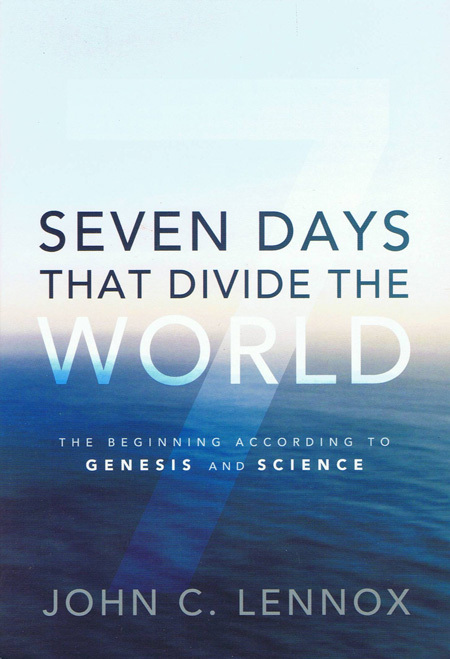 In 1998, the PCA set up a Creation Study Committee to examine the question. Like many other panels made up of Evangelical Bible scholars, they were not able to come to a consensus on the matter. 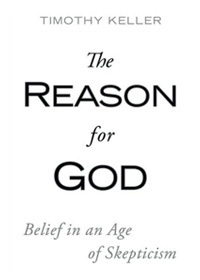 They did, however, conclude that acceptance of a young Earth is not an essential Christian doctrine, and that one could hold fully to the doctrine of the inerrancy of Scripture while also holding to a universe that is billions of years old. The report of the committee stated that they expected that the matter would clear up over time once scientists had sufficient data to tip the scales one way or the other. Most Christian geologists are convinced that the data is already in, and has been for a long time. In order to state this case, six geologists, all members of PCA churches, wrote the article “PCA Geologists on the Antiquity of the Earth“, which was published in Modern Reformation magazine in 2010. 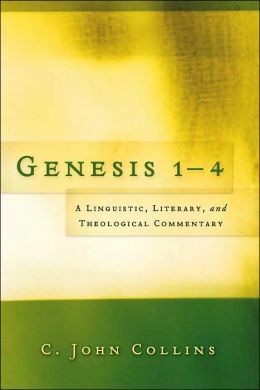 The authors did not intend to make a Biblical case for the age of the Earth; their starting point was that the PCA Creation Study Committee had already concluded that Bible-believing Reformed scholars were on both sides of that debate. Instead, they laid out geological evidence that they believed would convince the average Modern Reformation reader—a strong majority of whom hold to an inerrant Bible—that the geological evidence we already have points unambiguously to an old Earth. 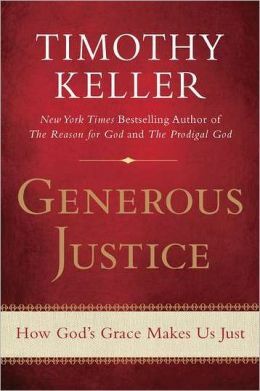 In their introductory paragraphs, they drew parallels between the modern debate within the church over the age of the Earth, and the geocentric/heliocentric debate that coincided with the Reformation time period. In the battle over geocentrism, otherwise sound Biblical scholars such as Martin Luther failed to dig deeply into the Scriptures to discern what the Bible said and didn’t say about the issue. Granted, in Luther’s day most scientists were against geocentrism as well, but that should not have excused him from doing the hard work of exegesis, which he failed to do. Tens of thousands of geologists worldwide are in virtually complete agreement about the age of the Earth. Even more significantly, their old-Earth interpretations are used successfully in exploration for oil and minerals. If young-Earth flood geologists were able to make predictions that would lead to the discovery of mineral and petroleum reserves, then you can be sure that natural resource companies would be paying top dollar for YEC geologists. They aren’t. Old-Earth geology is not based on naturalism/materialism. It is based on observations of the Earth, and many of the early advocates of an old Earth were devout Christians. The Earth tells a story, and this story is often incredibly complex. But even within this complexity, there are independent means of determining the antiquity of geological events. The authors wrote about Lake Suigetsu in Japan; they could have selected numerous other sites for their first example. Lake Suigetsu contains thin layers of sediment called varves that are usually interpreted to be annual layers, recording a record of accumulation much like tree rings give a record of a tree’s growth. If you count the varves, you can tell how many years of sediment accumulation have occurred. YECs often counter such arguments by pointing to examples where there is evidence that more than one varve has been deposited per year. But the beauty of the Lake Suigetsu varves is that C-14 dates from organic material in the varves correlate very well with C-14 dates from tree rings from the region. A varve that is 2000 layers deep has the same C-14 date as 2000-year old tree rings. In order for the YEC interpretation of these varves to be correct, there would have to be some amazing coincidences. Suppose that the YECs are right, and lets say that twenty varves formed in one year. If this happened, then twenty tree rings would have had to have formed in roughly the same year, and the rate of either C-14 production in the atmosphere or the rate of C-14 decay would have had to adjust by just the right amount as well in order to deceive modern geologists into thinking the varves and tree rings were both annual records. The authors wrote more about Lake Suigetsu, as well as about plate tectonics. Go ahead and read the article for more details. The eight PCA geologists are David Campbell, Lyle Campbell, Chip Cates, Gregg Davidson, Keith Long, Richard Mercer, Kent Ratajeski, and Davis Young. P.S. Dr John Reed, a YEC geologist and PCA member, has written a short response and long response to the Modern Reformation piece. I have read both and plan to review them soon. I had a professor once that said, “if we accept Augustine’s statement that ALL Truth is God’s Truth,” then we have nothing to fear from science. When they prove something is true it will reconcile with the Bible. If it doesn’t reconcile they will never be able to prove it’s true. I think this is the case with the old earth/young earth debate. Thanks for the article link. The comment about how the lake varves and the ocean spreading depict history not just maturity was particularly insightful. The PCA sounds like my kind of church. This is refreshing. It goes against the grain of the American cultural wars. What usually happens is that the more conservative denomination, even if it does not have roots in fundamentalism, will adopt some of the worst elements of fundamentalism (such as YEC) in order to appear ultra-conservative. They think it makes them more orthodox while really it is a distraction from orthodox concerns like the Gospel. Welcome to the PCA! Thanks for the comments on the creation study committee. 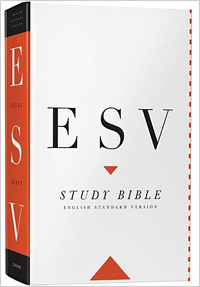 It represents the opinion of the authors, but doesn’t change the “official” stance of the denomination. Creation/evolution seems like a constant tension in the PCA. In my experience, however, it’s not a topic that’s open to conversation within the church. The problem is that on the creationist side, many are convinced that belief in evolution means the denial of the truth of scripture, atheistic naturalism, etc. Getting to the point where you’re willing to converse and worship with people who believe in the most heinous heresy is beyond the grasp for people who care about and are willing to defend orthodoxy. Detailed examination about the reliability of half life value as spelt out by radioactive dating method or radiometric dating method. As the phrase, half life (t½) is the time required for a quantity to fall to half its value, is mentioned above, it gives the implication that radioactive decay would cause the value of substance to reduce to half of its value. Or in other words, the value of substance would turn up to be zero upon another half life period has passed. The above list shows that Carbon-14, Potassium-40 and Uranium-235 would turn up to be Nitrogen-14, Argon-40 and Lead-207 in 5730 years +/- 40, 1.25 billion years, 704 million years respectively in order to achieve the half life values. As we know scientists have assessed the age of the earth to be 4.5 billion years, all these Carbon-14, Potassium-40, Uranium-235 would currently be turned up to be Nitrogen-14, Argon-40, Lead-207 since the current age of the earth ever since its creation, i.e. 4.5 billion years as computed by means of radioactive dating method, should have exceeded 5730 years +/- 40, 1.25 billion years, and 704 million years respectively since their creation. As all the Carbon-14, Potassium-40 and Uranium-235, that have existed since the creation of this earth, should have been turned up to be Nitrogen, Argon-40 and Lead-207 currently, there should not be any of these isotopes be available in this modern society. The current existence of Carbon-14, Potassium-40 and Uranium-235 has placed the reliability of radioactive dating method into question. If Carbon-14, Potassium-40 and Uranium-235 could have turned up to be Nitrogen-14, Argon-40 and Lead-207 after 5730 +/-40 years, 1.25 billion years and 704 million years and that the age of the earth should be 4.5 billion years, none of the above substances, i.e. Carbon-14, Patassium-40 and Uranium-235, could be found available in this modern society since they should have been turned up to be Nitrogen-14, Argon-40 and lead-207 currently. The above have placed the reliability of the rest of the isotopes that have been established by scientists into question due to nobody could live billion years to witness the actual transformation of materials from one to another. The unreliability of radioactive dating method would simply falsify the age of fossils, rocks and the earth into billion years. As radioactive dating method is unreliable, the age that has been derived from this method could not be used to assess the age of fossils. As it is not accurate to compute the age of fossils by means of radioactive dating method, the order of fossils that has been set by radioactive dating method could not be accurate. Thus, it is irrational to use this method to comment that dinosaurs and apes should have existed earlier than the origin of human beings so as to support evolutionary theory. Would there be any existence of radioactive after full complete radioactive decay? The phrase, All radioactive atoms decay…the atoms become…no longer radioactive, as mentioned above implies that radioactive would lose its effectiveness upon the complete atoms decay after the entire process. Besides, the phrase, no longer radioactive, as mentioned in the later part of the extract gives the proof the substance would lose its radioactive after the entire radioactive atoms decay. As listed among the isotopes, Carbon-14, Potassium-40 and Uranium-235 would turn up to be Nitrogen-14, Argon-40, Lead-207 in 5730 years +/- 40, 1.25 billion years, 704 million years respectively in order to achieve the half life values by means of radioactive decay. Or in other words, after transforming into Nitrogen-14, Argon-40 and Lead-207, it would need another 5730 years +/-40, 1.25 billion years and 704 million years for Nitrogen-14, Argon-40 and Lead-207 respectively to cause another reduction of half life values so as to cause the ultimate annihilation of radioactive decay. Once a full reduction of value has been stretched over the process, there should not be any radioactive decay remains at the end. As mentioned above that radioactive decay would become ineffectiveness after the entire process and it would take 11460 years (i.e. 5730 * 2), 2.50 billion years (i.e. 1.25 billion years * 2) and 1.408 million years (704 million years * 2) for Carbon-14, Potassium-40 and Uranium-235 to achieve full complete lives of decay. A question has to be raised. As scientists have used radioactive dating method to assess the current age of the earth to be 4.5 billion years and these computed years should have exceeded the number of years in which Carbon-14, Argon-40 and Lead-207 would have completed their decay in radioactive atoms, the current Carbon-14, Argon-40 and Uranium-235 should have lost their radioactive after their entire atoms decay. Yet we could locate Carbon-14, Argon-40 and Uranium-235 currently that would emit radioactive decay. This has placed the unreliability of radioactive dating method into question. There is a question about the reliability on how scientists would link up one material to be the daughter isotope of another. Besides, the unreliability of the use of isotopes would place the reliability of the age of fossils, rocks and the earth that has been computed by scientists to be in question. The unreliability of the age of fossils, rocks and the earth through radioactive dating method has placed a question about the reliability of the order of fossils, i.e. dinosaurs should have existed before the origin of human beings, since we could no longer trust the figures that have been computed through this method. It seems to be that radioactive dating method should not be used to support evolution. Thanks for visiting The GeoChristian blog and for your comment. The numbers are approximate, as radioactive decay has a random component to it, but they would be close. Approximately 1% of the original U-235 would still remain. Isotopes with longer half lives, such as U-238, would have a greater percentage of their original atoms still remaining after 4.5 billion years, while isotopes with shorter half lives would have a smaller amount still remaining. 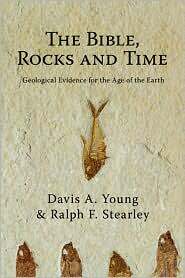 Young-Earth creationists have their critiques of radiometric dating, but what you have stated is not one of them. Also, you could have done some editing of your comment to make it more concise. Please do so in the future. I have browsed through your computation. The main problem lies on 704 million years that have caused the number of years to be pushed up. For uranium-235 to be transformed into lead-207, it would take 704 million years. Does it mean that uranium-235 would still remain uranium-235 after 704 million years instead of being transformed into lead-207? If uranium-235 could not transformed into lead-207 at the end of 704 million years, why should scientists link up uranium-235 with lead -207 to be parent-daughter isotopes? If uranium-235 would turn up to be lead-207 at the end of 704 million years, there should not be any uranium-235 since it has been replaced by lead-207. How do scientists link up materials to be one should be the daughter isotope of another without physicially seeing it to have been transformed? As nobody could live more than billion years to witness the transformation from one to another, how could scientists link them up by means of radioactive dating method so as to push the age of fossils to billion years? How could the scientists be so sure that uranium-235 would turn up to be lead-207 instead of otherwise? What if uranium-235 that seems to work out to be lead-207 and yet it would not turn up to be so after 704 million years or even more, to force the two to be linked up as one should be the daughter isotope of another would simply falsify the computation of the age of fossils? What if uranium-235 that seems to work out to be led-207 and yet it would not turn up to be so permanently, they could no longer be used to compute the age of fossils since the decay rate as 704 million years might not be true. Did/do any scientists tell the truth that they did/do see uranium-235 would turn up to be lead-207 physically and comment confidently that uranium-235 can become lead-207 since they would have found some to be converted and that is why they link up uranium-235 to be parent isotope and lead-207 to be the daughter? Geochristian, I have currently analyzed the way you have computed the reduction of atoms. Your computation shows that the reduction of 50% of atoms corresponds with each increase of half life that corresponds simultaneously with 704 million years for uranium-235. At a glance, it seems quite shocks to me. However, when I go deeper examination of the method, I feel the computation is irrational. The computation is based on principle that not all atoms have the potentiality to reduce half life. Every half life changes, the scientists would only expect 50% would react accordingly to the reduction of 704 million years and yet leaving another 50% to stay there without action. When a 50% reduction of half lives have been deduction, only 50% of the balance of atoms would respond to radioactive decay and cause a further reduction of 704 million years. Now a question has to be raised. How could scientists be so sure that only 50% of all the remaining balance of atoms would react accordingly to radioactive decay? How could scientists be so sure that the parent isotope always follows the same pattern of reduction that only 50% of atoms instead of more or less would react each time when a half life has reached? The way of using 50% of atoms for the reduction in the computation of half lives simply presumes that not all the atoms have the potentiality to be effected by radioactive decay. It is only 50% of the atoms would directly be affected by that decay and leaving the balance to be inactive. A question has to be raised. Did/do scientists see physically whether there would only be 50% of the atoms are active in radioactive decay and yet the balance are not? If there could only be 50% of the atoms be active towards the influence of radioactive decay each time, this gives the implication that not all would respond to radioactive decay. All the atoms seem to be lined up group by group that one followed by another in such a way that a 50% of atoms would allow them to be influenced by decay and another 50% of the remaining would follow suit. This computation has another defect is that each atom might have separated from each other with a little gap. If that would be so, each atom would have the potentiality to be effected by decay. If that could be so, all the surrounding atoms would be effected by radioactive decay instead of 50% of them and these would lead to immediate 100% reduction of half lives at the first stage and it would not be subjected to 50% reduction rule as mentioned by you previously. Your computation seems correct at a glance. However, detailed analysis of the technique that has been adopted in above shows that the scientists have presumed that only 50% of all the balance of atoms would react upon radioactive decay instead of all. A question has to be raised. If all the atoms for uranium-235 are subjected to the influence from radioactive decay, why should scientists account for only 50% instead of 100% as if that no radioactive decay could be emitted from the rest of the atoms and they have to wait slowly without action until the first 50% have been effected and then carry out their response towards the influence of radioactive decay. The 50% rule of reduction has been done systematically. It is like a commander in armies that send out troops of soldiers for war. He sends the first 50% for war and call the rest to be inactive. The first 50% of the soldiers perish and he has no choice to send another 50% of the remaining. He then calls the 50% of another remaining to be inactive. Once that 50% of the remaining have perished, he directs 50% of the remaining of the remaining to activate them for them. The 50% rule of reduction of radioactive decay has followed the same method as above. Each group of 50% atoms has followed systematically in order so as to activate their effectiveness towards responding to radioactive decay. Even though atoms in a material are many, there are separated by a little gap of space. Those materials that are in liquid have more gaps. As they are separated by gaps, each atom would have the potentiality to be in active to respond to radioactive decay. If that would be so, 100% of all the atoms should be accounted for the responding to radioactive decay instead of following 50% rule of reduction. The decay series from U-235 to Pb-207 is something that can be observed in a laboratory, and confirmed in natural samples. Mainstream young-Earth creationists (e.g. Answers in Genesis, Institute for Creation Research) agree that U-235 decays through a number of steps to produce Pb-207; they would just say that this process accelerated during Noah’s flood. But even in the midst of the flood, decay would have followed a half-life progressing, where 50% was left after one half life, 25% after two half lives, 12.5% after three half lives, and so forth. No young-Earth creationist expert on radioactive dating would agree with almost anything you have written. In other words, you have virtually no understanding of the topic, even from a young-Earth perspective. I suggest you do some serious study before commenting again on this, or on other blogs.